Artist’s Residence Dalen (ARD) is an exclusive Artist-in-Residence space in the rural town of Dalen, Drenthe, the Netherlands offering a temporary living and work space to artists from the Netherlands or abroad working in various disciplines of contemporary art. This winter, ARD is also available for rent as a vacation house for max 4 people for a weekend or week. Please contact us by email for more information. At the request of Land Art Contemporary, Walden Collective stayed in ARD in March 2017 for the performance of Windstilleven at Mantingerzand and to research the possibility of staging a new performance in Drenthe. We are currently working on our new website. Please contact us at info@artistresidencedalen.nl for more information. Artist’s Residence Dalen (ARD) is an exclusive Artist-in-Residence space in the rural town of Dalen, Drenthe, the Netherlands. ARD offers a temporary living and work space to artists from the Netherlands or abroad working in various disciplines of contemporary art. The space is especially suitable for artists working on or interested in art projects in the area, or artists wishing to spend some time in seclusion to focus on a special project. ARD is part of the artist in residence program of Land Art Contemporary, the foundation based in Drenthe dealing with (the contemporary aspects of) land art. See www.landartcontemporary.nl for more information. When not in use by the Foundation for its artist in residence program, ARD is available to other selected artists. The duration of the stay is flexible and depending on the proposed project and budget, but preferably between 2 to 3 months. In return, participating artists are asked a contribution in the utility costs and a donation of a work of choice to the ARD collection (eg a photograph, drawing, design or site specific work made during the stay). The artist should be able to work independently but ARD can refer the artist to cultural and social networks in the area where needed. Applications with a description of the proposed project, motivation, available budget, resume and images of earlier works by email only to info@artistresidencedalen.nl. 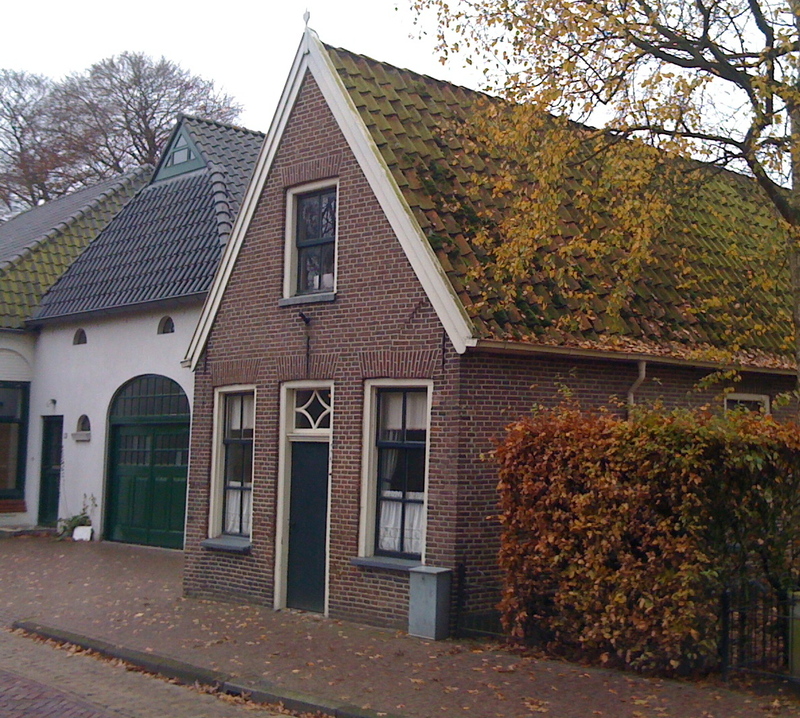 The artist’s residence is located in a small shoemaker’s workshop from 1860, in the center of the village and within walking distance of the rural landscape of Drenthe. It can easily be reached by car or train (app. 2 hours from Amsterdam, 5 min. from train station). The house has two work space of appl. 20m2 each, a living room with build-in kitchen designed by Arno Kortschot, a bedroom, bathroom and central heating. Behind the house is a big garden. There is free parking on the street.